Recent research has shown the dramatic degree to which robots are replacing people in the workplace. In fact, it’s an alarming rate, especially considering that robots can be much more efficient than people. With each additional robot, U.S. employment is reduced by 5.6 workers. Furthermore, every robot added to the workforce per 1,000 workers reduces wages by as much as .25 to .5 percent. 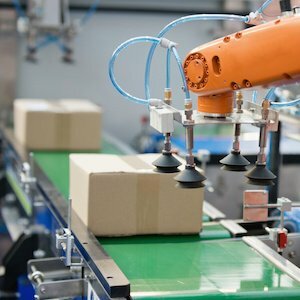 And it is a trend that is likely to continue, with experts predicting that the number of employed robots (yes, employed), will quadruple by 2025.1 These fully autonomous machines do not require human supervision and can be programmed to perform myriad tasks, such as parts assembly, materials handling, painting, and welding. PwC estimates that 38% of U.S. jobs are at risk of being replaced by robots, compared to only 30% in the United Kingdom, and only 21% in Japan. More startling is PwC’s estimate that 61% of U.S. Financial Services jobs are at risk of being replaced by automation, versus only 32% in the U.K.
A specific and vivid financial services example is the accounting profession. Companies like Duke Energy, Red Hat, Inc., and Dun and Bradstreet are now using robotic accountants to speed up tallying quarterly and yearly financial results. More and more companies are automating their financial book closing processes to reduce the amount of manual activities, such as journal entries, thereby achieving noteworthy cost savings. –	Companies’ yearning to reap both cost savings and efficiencies. A great example is Tenere, a manufacturer in Dresser, Wisconsin, where workers were expected to feed flat aluminum pieces into a disk drive at a rate of 1,760 per shift. The robot they employed now does it at 3,032 per shift, an increase of productivity of over 72%. –	A robot will not file for disability benefits because of carpel tunnel syndrome or other workplace injuries. –	Reliable human workers are hard to find in many industries, especially when the unemployment rate is low. For example, factory jobs could be harder to fill in coming years because baby boomers are retiring and many younger workers and college-educated workers do not want blue-collar jobs. –	More and more, potential workers are in declining health. As noted repeatedly in the recent press, there has been an enormous spike in alcohol and opioid abuse. Robots show up for work on-time, work-ready, and not hungover. –	Robots do not require pre-boarding or onboarding, and the related costs. –	Robots will not, and cannot, “job-hop,” a trait all too common with Millennials, who are now the largest single generational segment of the American workforce. –	Robots have become more affordable. They once required six-figure investments, but can now be purchased for as little as $20,000, or even leased at an hourly rate. –	Robots do not need healthcare or retirement benefits. Indeed, self-driving cars and trucks could reshape entire industries—and change the careers of millions of people working in them. Some truck drivers, bus operators, taxi drivers, and other workers may be at greater risk finding a new job when they are displaced, largely since they may be less educated, older, or lack the skills to apply for jobs in other industries. One might think that all workers would have animosity toward robots as their new coworkers, but automation isn’t necessarily a bad thing. It’s hard to work alongside people who show up late (or not at all), and don’t try to do their best. Who gets stuck picking up the slack when that happens? The disengaged employees’ coworkers. It’s also hard to be a customer when employees provide subpar service. Having robots handle certain tasks, instead of humans, could make many things go smoother. While robots are poised to replace human workers in many industries, there’s still a great way to maintain job security. The saying “it’s hard to fine good help” exists for a reason. It will always pay to be a dedicated, hard-working employee. If you have a good attitude, embrace learning, and try to do your best, you will set yourself apart from the crowd. I always advise managers to hire for attitude instead of skill. When robots start to make a bigger dent in the number of jobs available for humans and the unemployment rate rises, being an engaged worker will serve as much-needed job security. This entry was posted in Blog on August 22, 2017 by Kevin Sheridan.